Government’s consistent policies has been key to sustained economic growth that Fiji has faced over the years, says Acting Prime Minister and Attorney-General Aiyaz Sayed-Khaiyum. While addressing participants at the annual Top Executive Conference held at the Warwick Fiji Resort and Spa last night, Mr Sayed-Khaiyum also gave an update on Fiji’s compliance with the core International Labour Organisation (ILO) conventions. Fiji has repealed the Essential Industries Decree, has amended the Employment Relations Promulgation and has an expanded Employment Relations Advisory Board which will be meeting in the coming week. 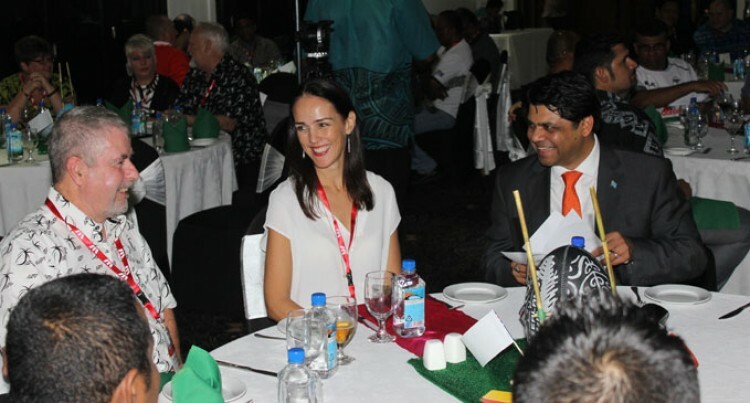 All this is in line with Fiji complying with the core ILO conventions, however, despite this some trade unions, Mr Sayed-Khaiyum said were attempting to “hang a hammer over our head”, meaning Fiji. Mr Sayed-Khaiyum said countries with worse track record of how trade unions and employees are treated do not go before the ILO, because all stakeholders are willing to negotiate amongst themselves. Fiji’s embassy in Geneva has informed Government that ILO now needs a signed declaration from the employers organisation- Fiji Commerce and Employers Federation, Unions and Government that all was well. It is understood that trade unionists while politicising the issue were using this to suit their agenda rather than what is in the benefit of Fiji. Mr Sayed-Khaiyum revealed that while there was a noted increase in tax collection from domestic consumption, it did not match with the revenue collection at the border. This, he said, was indicative that people importing goods were understating the value of goods and developing close close relationships with customs officers and therefore avoiding payments of correct tariffs and VAT. Mr Sayed-Khaiyum acknowledged that there were instances when the private sector, particularly employers faced issues with a number of Government departments, such as Immigration Department, but this was also being looked into. Giving an example of a pastry business of a supermarket chain, Mr Sayed-Khaiyum said the company wanted to bring in an expert pastry chef from overseas. They were however informed by the Immigration Department that since there were enough pastry chefs in Fiji, they could not bring in one from overseas. Mr Sayed-Khaiyum said the Immigration Department did not consider the different types of pastry chefs with different expertise and what they had to offer to the country. He said that given the trajectory of the economy, we needed to have a more liberal approach to various sectors within Fiji which included encouraging private sector investment in non-traditional areas and also for Government agencies to understand to open up the market including bringing in specialised skill sets. Mr Sayed-Khaiyum also said that all sectors of the economy including employers and employees to work with Government for betterment for all Fijians. He said for us to take advantage of the economic trajectory we needed more independent professional views made in the public space with the objective of improving our economy and empowering our people. He said that intellectual rigour and honesty was critical if Fiji was to reach its full potential.